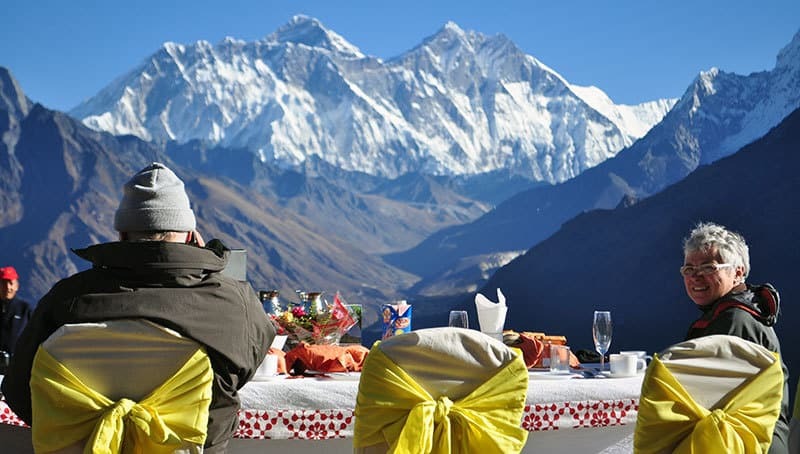 In Nepal, going to remote corners of the Himalaya by helicopter is a pleasurable and exciting activity and can reach altitudes well in excess of 5000 m. The Himalayan range in the north has more than 100 peaks that are over 6000 m, of which 8 summits are among the world’s tallest. And of course, the one and only Mt. 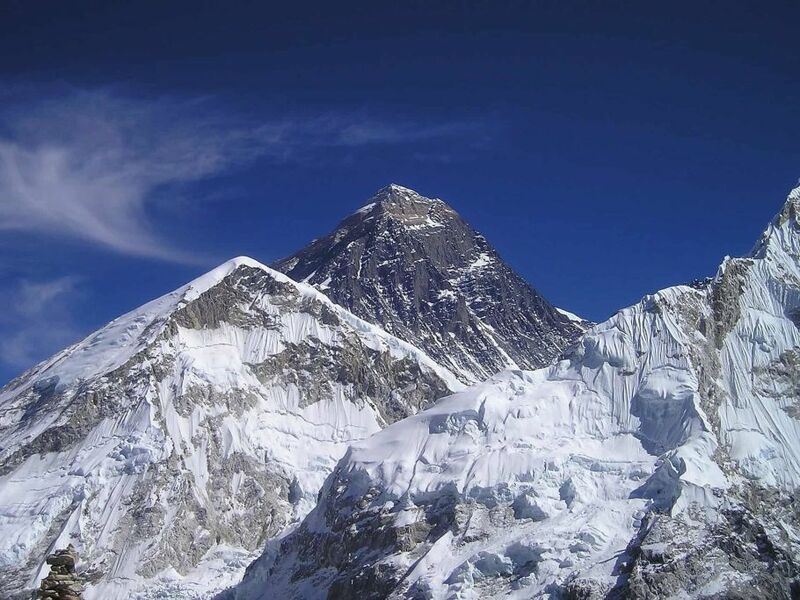 Everest is not to be missed. The fertile land in the south known as ‘Terai‘ boasts of abundant wildlife. 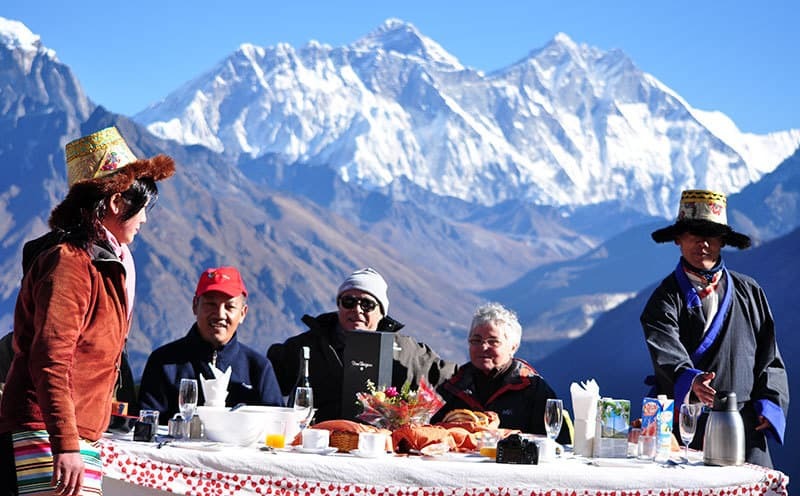 To add more luxury touch to your itinerary, we will have champagne breakfast on Everest – it’s a dream come true for those willing to experience and encounter the world class food in the lap of the highest mountain of the world. 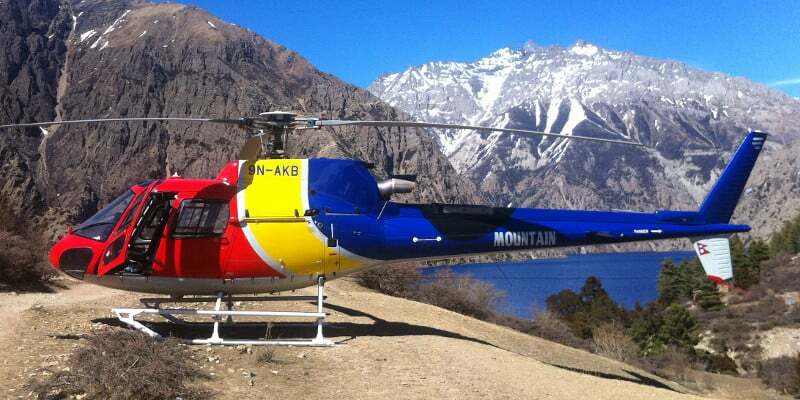 30 minutes heavenly helicopter flight to the heart of the almighty Everest. 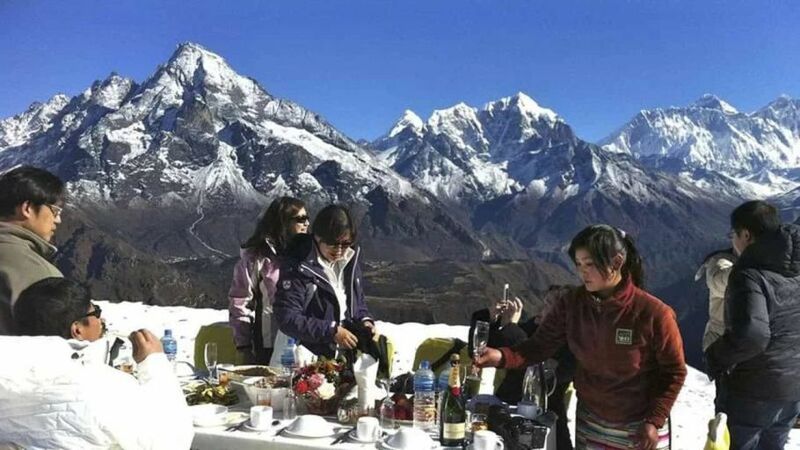 Excellent panoramic view of Everest, Nuptse, Lhotse, Ama Dablam, Thamserku, the snow-capped hills, glaciers and lakes. 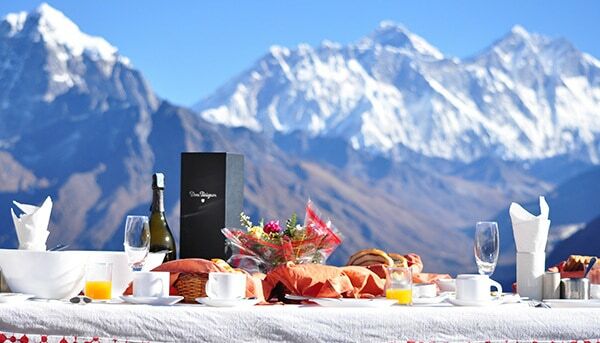 World-class breakfast at Kongde with excellent views of planet's highest mountain and its ranges. Hotel / Airport pick-ups & drops by tourist vehicle. Flight fare to and from Lukla including airport taxes. Helicopter shuttle from Lukla to Kongde and back to Lukla.